Today’s post includes excerpts from What’s the Story? Building Blocks for Fiction Writing, chapter nine: “Chapters, Scenes, and Sequences.” Enjoy! Chapters, scenes, and sequences are structural units of storytelling. These are the basic blocks of a story that contain all other elements, from characters, plot, and setting to action, dialogue, and description. Chapters are units within a book that are named, numbered, or both. Chapters provide numerous functions: they break a story into digestible components; they provide transitions between moments in time, locations, or points of view; and they provide a novel with structure. There are no rules regarding chapter length. Some chapters are short; others are long. Some novels contain chapters that are all roughly the same length; others contain chapters that vary in length. The length of a story’s chapters is driven by the story and the author’s judgment. However, chapter length should be comfortable and flow with the story’s pacing. Similarly, there are no rules regarding when to start or end a chapter. Some chapters end on cliffhangers, which keep readers turning the pages. Some chapters wrap up neatly, providing pauses within a story. 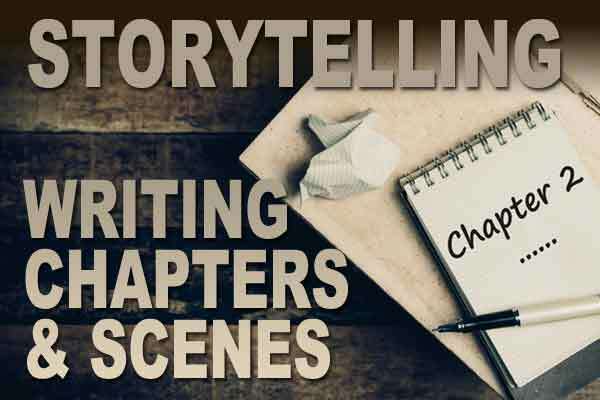 A chapter can be comprised of a single scene, but it can also contain multiple scenes. According to the Oxford Dictionary, a scene is “a sequence of continuous action in a play, film, opera, or book.” Each scene usually occurs in a single location: in one scene, the characters are sitting in a bar having a conversation. In the next scene, a character is getting into a taxicab. We have developed shorthand to refer to certain types of scenes that often appear in stories: love scenes, action scenes, and fight scenes are a few examples. A scene that takes us into a character’s dream might be a single scene, but it’s usually called a dream sequence. Other common types of scenes drop the word scene altogether. We don’t normally refer to a “car chase sequence.” We just refer to the “car chase.” Also, the first scene is always called the opening scene while the final scene in a story is called the closing scene. The setting of each scene should be clear from its onset. Readers struggle with narrative when they’re not sure where or when a scene is taking place. Simple markers that communicate the time, place, and point of view help readers identify the setting and perspective of a scene. Each scene is a miniature story within the story and has a beginning, middle, and end. A scene opens, there’s conflict, and then the scene closes. At the scene level, conflict is usually minor; the larger story conflict is spread throughout the entire story. Some storytellers say that each scene should contain an emotional transition, which can help build tension into a scene and gives the story emotional flow. If a scene starts on a positive note (the protagonist is happy), then it can end on a negative note (the protagonist is sad). These emotional or tonal shifts don’t need to be intense or dramatic. Something as simple as showing a clumsy character spilling wine all over his white shirt can give a scene a downward emotional shift. However, these emotional shifts are not required—and in fact, they’re not always possible. Some stories require a series of scenes that maintain a constant tone without significant emotional shifts. The core function of any scene is to move the story forward with plot and character development. The more development a scene contains, the richer it becomes. One scene can move the plot forward while another scene develops the protagonist, but if the plot and character development can be contained within a single scene (rather than two separate scenes), then that scene will be more powerful. Although chapters and sequences are important structural units, scenes are a story’s most essential and basic units. On a smaller scale, scenes must do what the larger story is doing: reveal the characters, unfold the plot, establish the setting, and explore the theme. 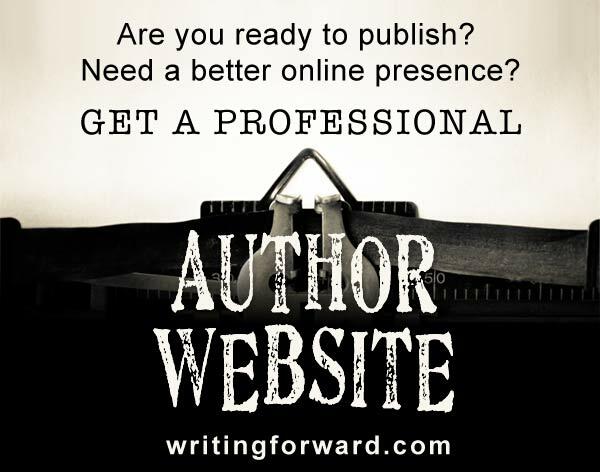 Want to learn more about writing chapters and scenes? Pick up a copy of What’s the Story? 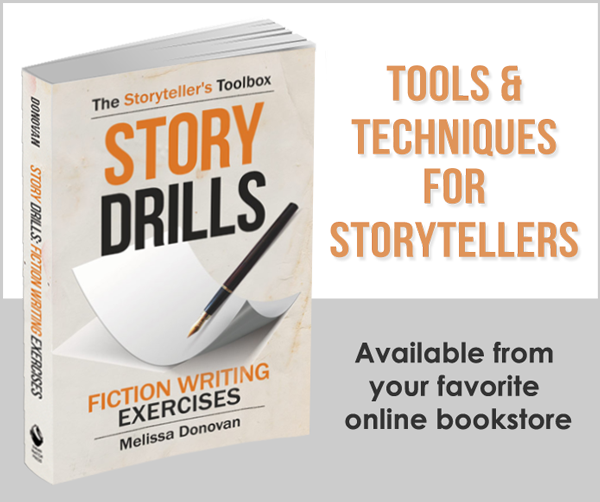 Building Blocks for Fiction Writing. Thank you for helping to clarify some functions of chapters and scenes/sequences.